Snake print has a dual character carpet which you can use for a modern home interior as well as a traditional home interior. It contains tiny design pattern which is inspired by the skin of a snake and beautifully handcrafted by our weavers. 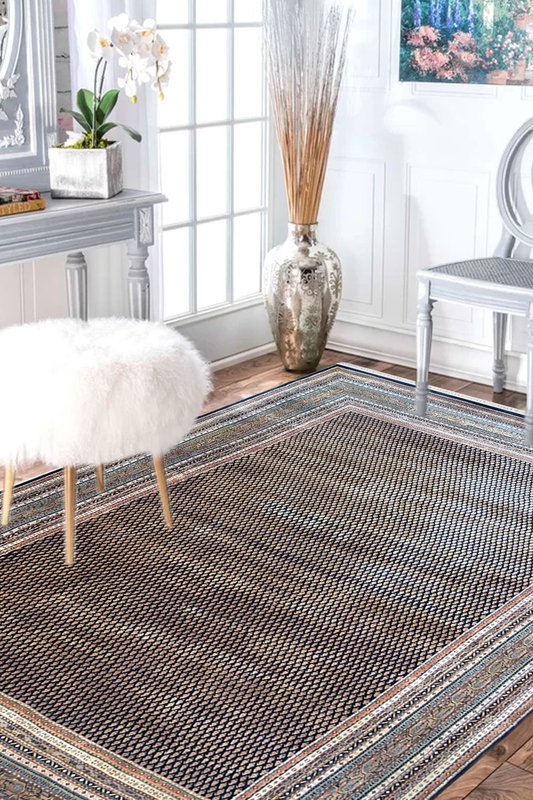 This special carpet is hand-woven for a traditional interior as well as for a contemporary home decor. It contains grey color which is suitable for a modern décor with small tiny designs. It has layered bordered which is uniquely designed by our craftsmanship. - Process Duration: Approx. 9-10 months.